Our park is located in the heart of Northeast Alabama and surrounded by mountains on all sides. We have level gravel sites that can accommodate any size rig. We know you have choices when looking for a campground to stay at, even with the high fuel prices, we believe that if you stay with us, you will enjoy yourself. There's lots to do here, so stay long enough to use the amenities at our park (plus we can get to know you a little better) and visit the surrounding area. Once you get here, stay a while to save on fuel. 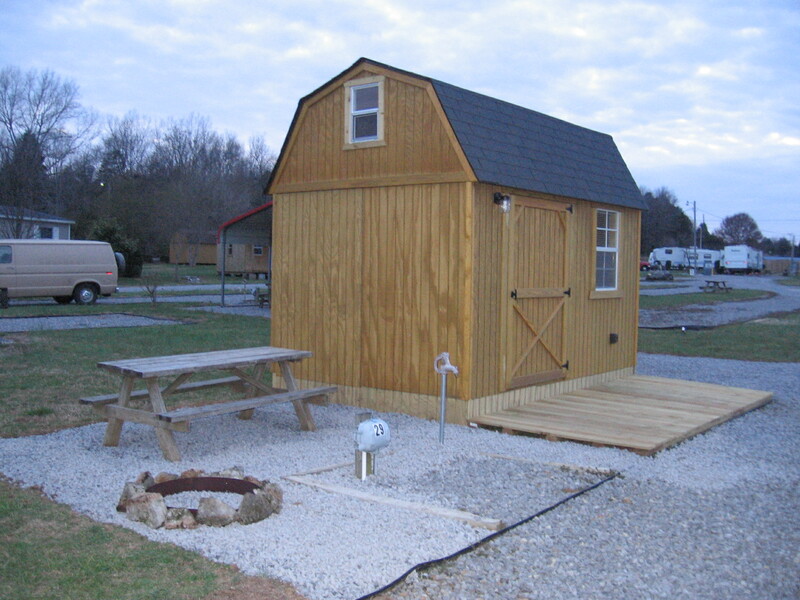 Daily RV Campsite rates are based on a family of 4. There is a $2 per person per day extra charge over 4 and are limited to 8 persons per site. Check in is at 1:00PM. Early check in 10:00AM(if available) is $5. Check out is 11:00AM. Late check out 2:00PM(if availaible) is $5. We are in Central Daylight Time Zone. ****SPECIAL NOTE**** Due to very high electric bills and everyone using electric heaters instead of using their propane, we are forced to charge an extra $1 per day/per heater if you use them. This also applies to anyone using a window A/C in their unit. Please call us for monthly camping rates. ***Please note: November through March you need to be self contained whether you are staying Daily, Weekly or Monthly. Our Bathhouse is not heated and is closed during the Winter Months due to freezing temperatures. This rustic cabin that can sleep 5. It has a full size bed and 3 bunk beds. Comes with a front porch, A/C with a heat strip (for those chilly mornings), small frig, desk, picnic table, charcoal grill and a fire ring. Be sure to bring sheets, pillows and blankets. This unit comes with a small TV/service and has the all important video jacks to hook up your game systems on. Pet fee $5 per pet per stay. 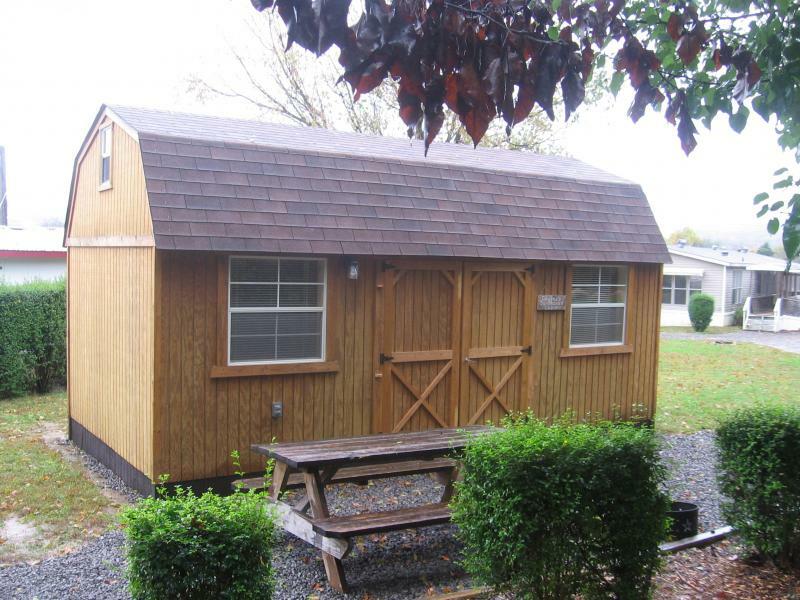 This is our newest rustic cabin that can sleep 10. 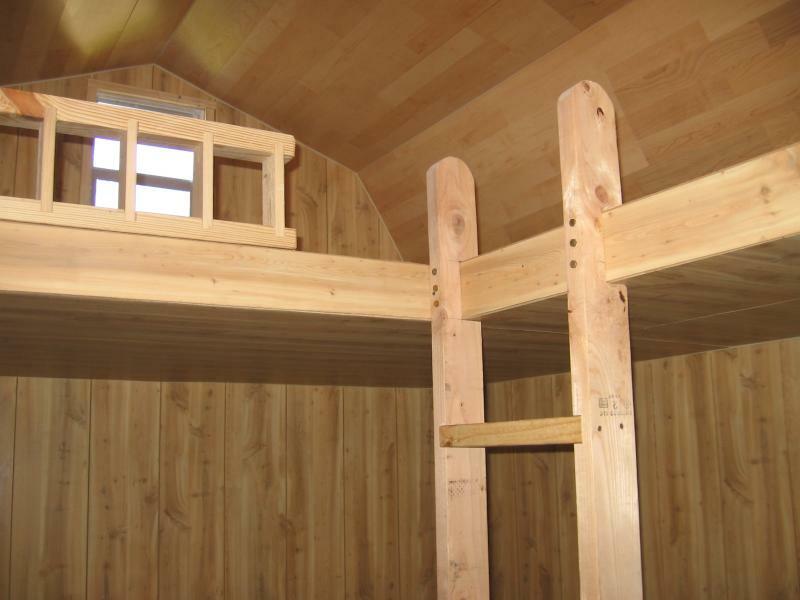 This cabin can sleep up to 4 adults and 6 children. 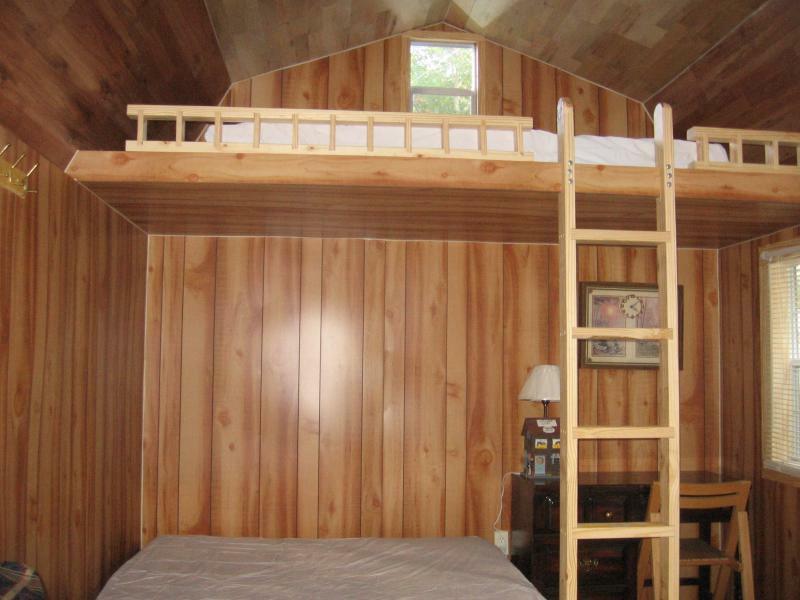 Comes with 2 queen size beds and 2 padded lofts for the kids. 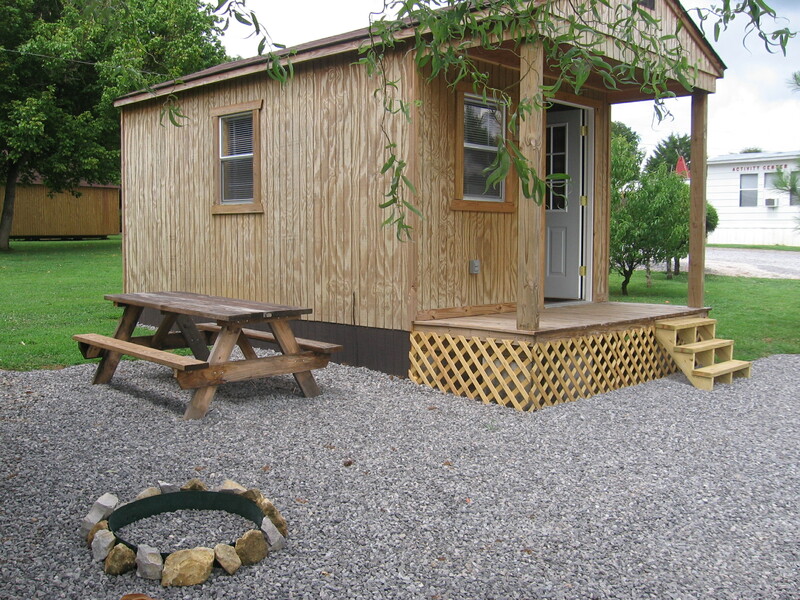 Has A/C with heat strip(for those chilly mornings), desk, loveseat, small fridge, picnic table, charcoal grill anda fire ring. 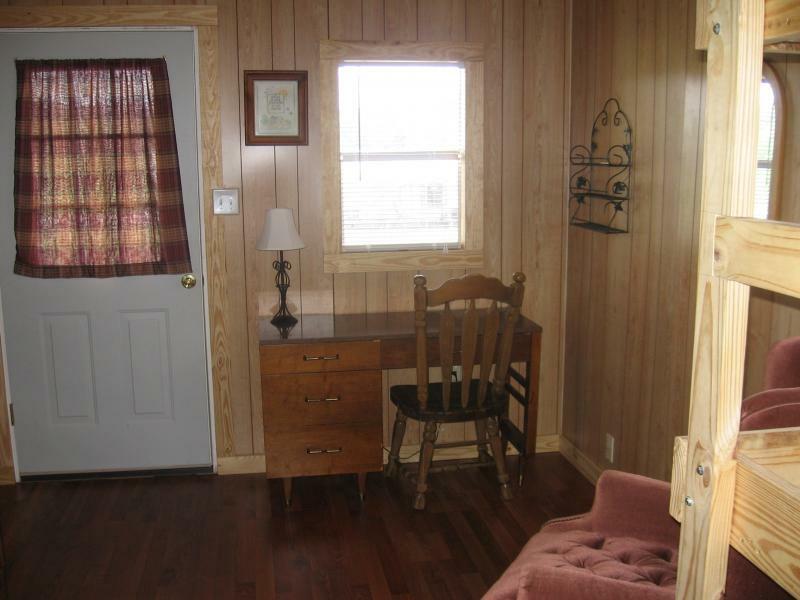 Be sure to bring sheets, pillows and blankets for this unit. This unit comes with a small TV/service and has the all important video jacks to hook up your game systems on. Pet fee $5 per pet per stay. 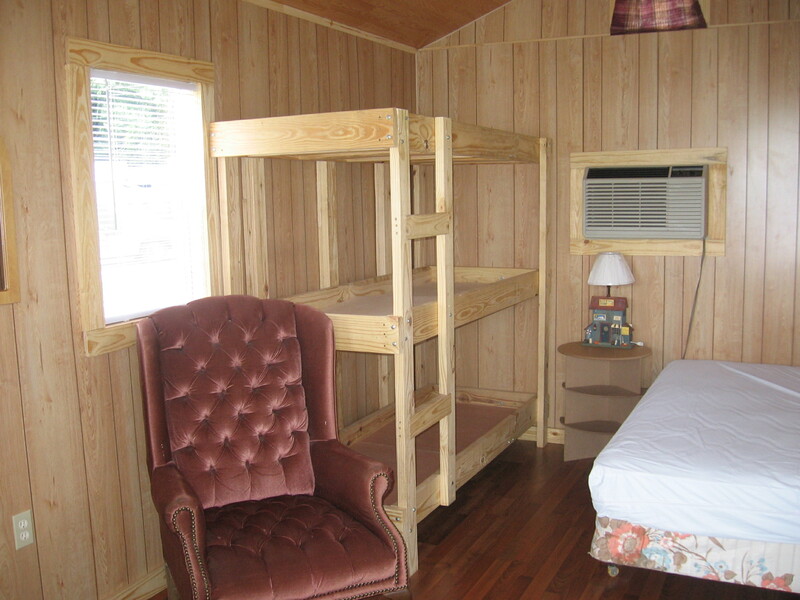 Note: We now require $10 Key deposit when renting our cabins. 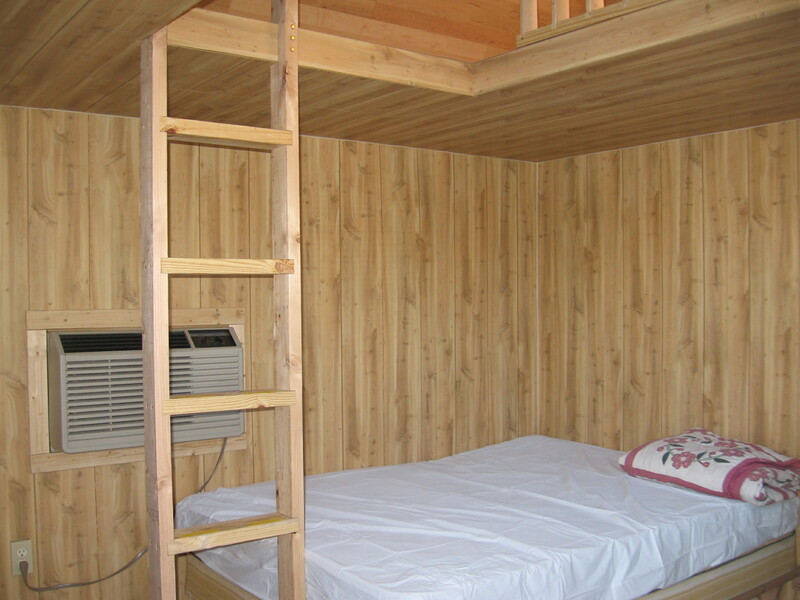 We also require a Credit Card when reserving one of our cabins. Our cabins are all non smoking cabins. Cabins should be left clean and orderly. 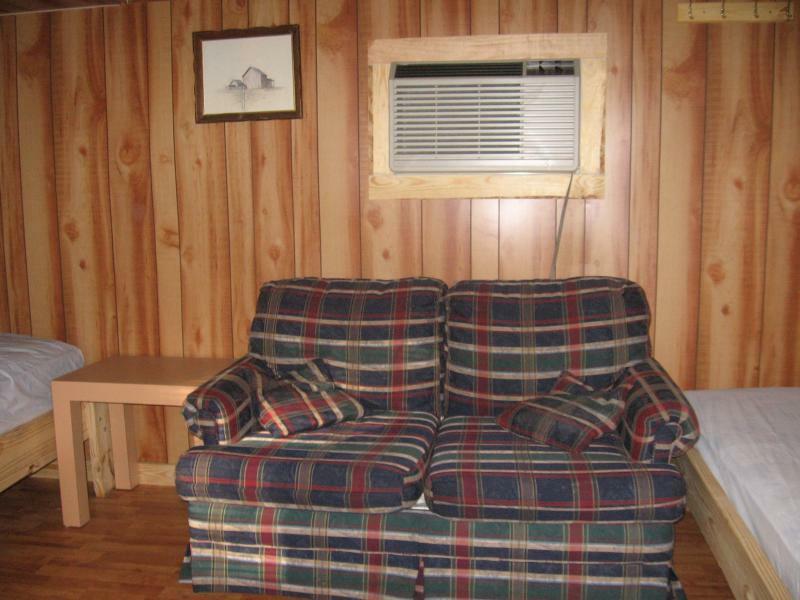 Excessive cleaning, smoking or damages to the cabins will result in charges. We do not give refunds for camping. ﻿Please take this into consideration when making your plans.